One Life at a Time: The Way of the Philistine? Many friends and relatives who know of my interest in death and afterlife studies express concern that it is an unhealthy or taboo subject matter. “One life at a time for me” is a typical reaction, a subtle and supposedly “intelligent” way of saying that the person is not interested in discussing anything related to death and the afterlife. Addressing concerns that being too focused on the afterlife will make a person unfit for the “practical” life, philosopher Lilian Whiting pointed out that the truth is just the opposite. “Let one realize the absolute continuity of existence and at once life becomes worth living,” she offered. The Invisibles called “balancing” the earthly life with the eternal life the “art of life.” They stressed that the best way to deal with life’s adversities is by viewing them from the higher consciousness. 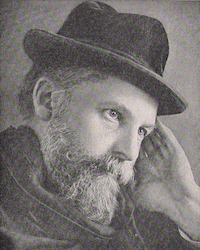 Frederic W. H. Myers, (below) a Cambridge scholar and one of the founders of the Society for Psychical Research in London, is a good example of someone who was able to develop his spiritual consciousness to the point where, in embracing death, he found joy and fulfillment in life. At Myers’s memorial service in 1901, Sir Oliver Lodge recalled that Myers, when visiting the United States a few years earlier, swam the Niagara River below the treacherous falls. Myers told Lodge that the thought suddenly flashed upon him that he might die, but there was no fear connected with this thought. Rather, he saw the whole experience as a joyous adventure, for, as Lodge put it, “his clear and happy faith was the outcome entirely of his scientific researches” which strongly suggested survival. James added that “the luster of the present hour is always borrowed from the background of possibilities it goes with.” In other words, you can’t effectively live in the moment or in the present without considering the future. James went on to say that a nameless Unheimlichkeit, i.e., eeriness, comes over us at the thought of there being nothing eternal in our final purpose, in the objects of those loves and aspirations which are our deepest energies. Of course, age is a big factor in one’s desire or ability to embrace death. The person still establishing him- or herself in a career and raising a family may not find time to pause and see the need for such an interest. While I gave it passing thoughts in my younger years, I didn’t really get interested in it until after the age of 50. Now, at 77, with family raising and work life well behind me, and with a growing number of health-related issues, I can’t help think about it. What puzzles me is that people in my own age group with similar or greater health issues are often among those who give me the “one life at a time” pitch. They act like they are content in continuing to be “one with their toys,” even the few toys they have left, but I suspect that most of them are just repressing their anxieties and burying their heads in the sand. As I see it, those people in their declining years who want to live “one life at a time” are victims of Philistinism. They are not even aware that they are in despair. The problem is that they are either locked into the orthodox religious view of the afterlife, seemingly a very boring and monotonous existence, or they have rejected all religious views and see death as nothing more than the obliteration or extinction of the personality. If they were to become receptive to learning about death and the afterlife, they might discover what I and others have found – a much more vibrant and dynamic existence, increasingly more vibrant and dynamic than the earth life as one evolves in it, assuming that one is prepared for it and does not require a lengthy adjustment and adaptation period. But if the person will not open his/her mind to the evidence for survival and the information coming down the vibration scale about the nature of the afterlife, he or she is destined to remain in the Philistine mindset. But if the person doesn’t realize he/she is in despair, what’s the problem? Isn’t ignorance bliss for them? Why should I care what they think or don’t think? I care because ignorance fosters more ignorance and leads to a more materialistic world, one in which the Epicurean motto of “eat, drink, and be merry,” prevails, as it seemingly does in today’s world – a world in chaos and full of turmoil, an increasingly hedonistic world, one perhaps not unlike that of ancient Rome when Nero played his fiddle as the city burned. But I also care because indications are that the Philistine likely faces a difficult adjustment and adaptation period after death. It’s like going on a trip to a foreign country without a passport, without any money, without any luggage, without knowing anything about the place, with no maps, and knowing nothing of the language there. The person will likely struggle and flounder, when with a little advance preparation for the journey he/she might quickly adjust and adapt after arriving there. 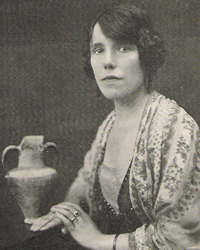 Gladys Osborne Leonard (1882 – 1968) is considered one of the greatest trance mediums in the annals of psychical research. She was referred to as “England’s white crow” and the “British Mrs. Piper.” Some of the very best evidence for the survival of consciousness after death came through her mediumship. Yet, I recently came across something that made me both curious and a little suspicious. 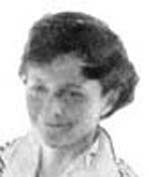 In reading the transcripts of communication from Rolf Little, a soldier who died during World War I, to his mother through Mrs. Leonard, (below) I was puzzled by the fact that Rolf occasionally addressed his mother as “darling.” While I had recognized the use of this term of endearment between spouses and also directed from parent to child, I had never before heard a son call his mother by such an affectionate term. What made me especially suspicious was another transcript in which Claude Kelway-Bamber, also communicating through Mrs. Leonard, called his mother “darling.” That might be enough for a debunker to cry “fraud” and for a parapsychologist to say it was all coming from Mrs. Leonard’s subconscious, not from spirits of the dead. I wondered if such a term of endearment might be common in England or have been more common in the early 1900s, when the communication took place. I discussed it with Dr. Howard Jones, a British educator and scientist, who said he had never heard it applied to a parent by a child. The “control” referred to by Hyslop, is the “medium” on the Other side. As it has been explained, very few spirits have the ability to communicate directly through a trance medium. Thus, a medium is needed on that side as well. Mrs. Leonard “control” was called Feda, said to be an ancestor and her guide. Feda would get the message from Rolf, Claude, or whoever was communicating, and then impress the idea on Mrs. Leonard’s brain. In effect, there were four parties – the spirit communicator (Rolf, Claude, etc.) , the spirit control (Feda), the medium (Mrs. Leonard), and the “sitter” (Rolf and Claude’s mothers). Indications were that Feda got the message telepathically from the spirit communicators on their side of the veil, and that she sometimes misinterpreted what they were saying. Thus, there was distortion even before it was impressed upon Mrs. Leonard’s brain. But then the message could be further distorted as it was filtered through her brain. Nevertheless, the gist or essence of the messages usually got through, even if the words came from Mrs. Leonard’s vocabulary. Thomas further observed that when Feda had latitude in the selection of words, e.g. “Zion” for “Jerusalem,” communication was easier. However, when it came to proper names, this alternative was not always possible. The discarnate Thomas also told his son that when he entered the conditions of a sitting his memory would divide into its former earthly conditions of conscious and subconscious. Thus, the same forgetfulness he might have had when in the flesh with regard to names and other things still existed on his side of the veil. 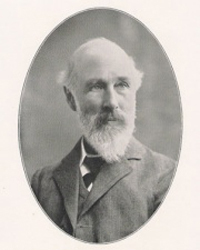 Soon after his death in 1925, Sir William Barrett, (below) a physicist and also a pioneering psychical researcher, began communicating with his wife, Dr. Florence Barrett, through Mrs. Leonard. Lady Barrett wondered why her deceased husband got the name William through, and not “Will,” as she had called him and as he had called himself. Also, he addressed her as “Florence,’ although he had called her “Flo” when alive. The formality of it made her question whether it was in fact her deceased husband communicating, even though he provided some very evidential information which she concluded no one else could have known. Sir William went on to explain that it is extremely difficult to get his nickname through because it is a detached word “If I wanted to express an idea of my scientific interests I could do it in twenty different ways. I should probably begin by showing books, then giving impressions of the nature of the book and so on, till I had built up a character impression of myself.” But single, detached words, he reiterated, were a real problem. With all that in mind, it is not difficult to understand why Rolf and Claude called their mothers “darling.” But I suspect that the “skeptics” might find it difficult to comprehend.